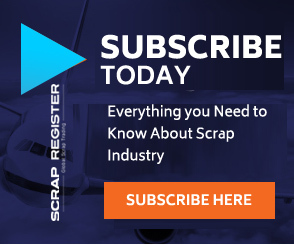 NEW YORK (Scrap Register): Gold has pulled back so far this month due to a stronger U.S. dollar, but the metal is likely to remain in demand amid political uncertainties, according to analysts. The decline appears related to exchange-rate developments since gold in euro terms has held around €1,150, Commerzbank added. “We believe that gold should remain in good demand – after all, the political risks appear to be increasing again,” Commerzbank noted. “According to Italian media reports, the European Commission has drastically reduced its GDP [gross domestic product] estimate for Italy, meaning that the Italian government’s deficit target – which was the subject of much dispute in the autumn – will probably no longer be achievable,” MKS (Switzerland) S.A added. “Uncertainty over U.S.-China trade relations and the potential for another U.S. government shutdown continue to underpin interest toward $1,300 and should see supportive price action remain over the near term,” MKS added.